"Fantastic Integration tool with fantastic support"
The platform has many great features. The UI is great taking the complexity out of making connections to a wide variety of back-end platforms. Built in connections to a large number of enterprise systems makes connectivity and integration fast and simple. This allows for even a junior app/dev resource to get an integration up and running very quickly. This entire platform reduces integration timelines by virtually eliminating the complexity. We were able to integration our litigation divisions legacy time management platform with our NetSuite instance. This provided critical visibility from NetSuite into the financial metrics of the litigation division. "Jitterbit - the orchestration platform of our data model"
Its low code approach and Jitterbit's API Gateway. We value how simple it is to build integrations using the platform, allowing us to deliver projects quicker and in very reliable way. Thanks to its low-code approach and the out-the-box connectivity to widely used systems (like Salesforce and NetSuite) we were able to get real value right after implementing Jitterbit. Additionally, we use JItterbit's API gateway quite extensively to create our own API endpoints that enable us to integrate systems in real time. The design and performance of the Web Management Console could be improved. All gets better once you realise there's an API manager! If your integrations do not require accessing data/platforms that sit behind your firewall, then I would suggest going with their cloud deployment or even with their self-managed environment in the Jitterbit Cloud. I would also suggest them to adopt Jitterbit's API gateway as this is a must if you are looking to build real-time integrations. Jitterbit plays a key role in the orchestration of our internal data model. It drives communication between the different platforms and services we use internally, providing us with a single view of our customer. Jitterbit enables us to enhance our data model and reduce the turnaround of many projects that would have required bespoke integrations to be built from scratch. Instead, we are able to design and build integrations leaving the technical side of things aside and focusing on what matters to us - the business requirements. "My go to ETL Tool!" I wish the success and error files could have better naming conventions and the ability to choose where they are saved. I wished the mapping page had both the names and the labels for the Salesforce fields. I wish it had a progress bar to show how many records had been processed (either a count or a percent would be nice). But these are minor issues, I really love the tool! Make sure to take your questions to the Success community... they are very responsive to posts. I've never had to wait more than a day for an answer. So many!!! One example... we have a Salesforce custom object that has a very limited shelf life (less than 90 days) and then it becomes clutter. So I set up a query/delete combo that purges these records that were last modified more than 90 days ago automatically on a weekly basis. Jitterbit is a great tool we have utilized for years to synchronization mass amounts of data from our legacy systems to our Salesforce org quickly and efficiently. With the release of Jitterbit Harmony, we were able to use the new functionality to bring data from multiple sources into our Einstein Analytics tool and created in-depth dashboards. Our teams are able to make strategic decisions to streamline and grow our business in new and inventive ways without having to hop in and out of multiple systems like never before. Our Jitterbit team is amazing. We have a wonderful Customer success manager in Taylor and our Architects and System support are incredibly knowledgeable and make it easy for even the newest member of the team to understand the system benefits and functionality. As user friendly and flexible as Jitterbit is, a single comma can cause an error fail. Once you narrow in on the specific problem, it's easy to remedy. Otherwise, we love the tool. Synchronization of data from a legacy system into our Salesforce org. We were also able to bring data into our Einstein Analytics dashboards that allow our Sales and Marketing teams to improve our Strategic relationships and Business decisions. It has been great for company. "Terrific Salesforce to SQL/Oracle EDI tool (plus more!!!)" Jitterbit is a solid product for transporting data in and out of Salesforce. It can do many other things as well, but we had purchased it specifically for our Salesforce needs. Within 3 months of owning Jitterbit, we were able to migrate our 20+ existing jobs from another EDI product that was not working well for our company. Plus, we have made many more data transport jobs since then. I have really not found any use-case that we could not complete with this product! For a few situations, we have reached out to Jitterbit support for assistance and they have been super accommodating. They have dug right in and helped us solve our problem. We are also interested in making REST based API jobs in the future, as Jitterbit has those capabilities as well. Mostly this has been a syncing of data between Salesforce and other external datbases (SQL Server and Oracle) and FTP. The biggest benefit we have gotten from switching to Jitterbit has been the extensive logging and troubleshooting!! With our previous product we used... sometimes jobs would fail to run to completion, but there would be no details regarding the issue and logging itself was minimal. With Jitterbit, we can control much of what we see in the logs and even add more specific logging if necessary. The ability to program it through there graphical interface is great, there is probably nothing they can't do. The more they provide conceptual expamples the better for someone like me. They have great technical info and indexed resources. I am not going to give the pricing and terms a # grade because it is all about efficiency and automation and if I am using it, am happy with it and paying on time and it works, then it deserves 5 stars. All asspects of the circle of business ... sales ... receivables ... cash receipts ... purchases . payables ...disbursements .. financials ... operations ... manufacturing. Benefited rom many of the above and working on the rest. I am not a techie, so the next question (for which purposes ....) had be filled in so I checked all of the above. Give to me in Jitterbiteze, please. "Makes our SAP integration requirements into Salesforce so simple!" Where we have many different systems, and we are looking to bring in new information we are able to simply reuse parts of the integration simply and quickly. This makes for a quick turn around when the business makes requests on the integration team. The client interface is very nice to use, with a lot of help on how to build integrations and end point linking. The mapping tool is an actual delight to use. Some of the error notifications could be improved, but I understand this could be down to the way we use the tool. We are trying to integrate our SAP information into various other systems, including SalesForce and Einstein Analytics. It has made the process very simple for us to now add further data is extremely quick once a specification has been received. Their experience and service is amazing. They were extremely easy to deal with both when we had concerns arise to their sales team to their success team. They have made both the evaluation process and us getting off the ground as easy as it could be. Their customer service deserves repeating. It has been amazing! I have not had any experience with Jitterbit that has made our organization unhappy. They have delivered the product they promised and when a small concern arose they jumped on it with amazing customer service to get to the bottom of it and provide options and solutions to our organization. They are easy to deal with and when you are considering their service they will demo your situation specifically. Integrations with other systems. From internal FTP to Database to external web services. "Jitterbit - A simple tool that has had a huge impact on out integration"
What I like is how you can set up a simple task in a matter of minutes. But what I really love is that I can add so much more logic in to it if required, it is extremely flexible. Also the support team are brilliant, always quick to respond to any questions I have. Not a massive thing, but I would like to be able to send HTML emails. In my experience it is a powerful tool that can be configured to do most things. I think it is great value for money. Integrations between various systems including the billing systems and CRMS. Created an API to enable customers to retrieve their bills via the customer portal. Created an automated process for handling incoming correspondence and sorting into SalesForce cases. Created an automated process for debt recovery, using the details from the billing system and the data from SalesForce to communicate with customers. "Great tool for simplifying integration and one-place monitoring"
- Salesforce integration using Jitterbit Connect is much more simple, the built in wizards are very useful and help you cover all the steps. - Connectors to large number of enterprise applications. - Drag & Drop mapping / Auto Mapping - easy to use and time efficient. - Migration is easy and efficient, better and easier than any other application i had used before. - Logging in the Jitterbit Studio can be improved - better navigation and more filters are needed, export capabilities can also be a good feature. Helps keep ERP and CRM data integrity using all kind of integrations. Allow one place monitoring for all the organization live integration with email error handling, for a large organization with many integration this is a very powerful tool. "Cutting edge product for enterprise integration needs"
Nothing much to highlight but I think Studio interface can be improved better. We are looking for the Enterprise solution to integrate all our Back Office applications. Using Jitterbit we integrated Intacct ERP, RevSYM, Salesforce and visual compliance applications. We will continue leverage the platform to develop the new API's using the Jitterbit harmony. The ease of setting up integrations has been fantastic. The flexibility and multiple options for workflows and error handling is great and is able to process large data sets quickly. The support from the Jitterbit team is fantastic and they ensure that the product is performing the way we need it to. The biggest challenge we have encountered is multiple developers making changes to integrations and not knowing exactly what is different between their local environment and what has been deployed. Jitterbit is allowing us to load data from our SQL databases into Sales Force and to move data from Sales Force into our data warehouse. With Jitterbit we are able to move large data sets to and from Sales Force easily allowing our end users to get updated data quickly. "Great Integration Tool For Salesforce"
We are using Jitterbit to integrate with Salesforce and it is so easy to drag and drop the fields to get information into the right place. Everything is very intuitive and is pretty difficult to screw up. We also like how we can have it talk to multiple ERP and other systems with no issues. The Jitterbit studio can take a long time to load the data. You still need to install something on your computer to use the studio. JItterbit has allowed us to have our ERP systems (2 of them) and Salesforce talk back and forth with data. This has saved our users a ton of extra time as it means that they do not have to enter data into two systems. When the correct data is put into one system the other system is automatically updated to reflect this. "Great Product for Cloud Integrations"
The support and functionality of jitterbit. The team was incredibly supportive in out discovery phase and continue to partner with us for our ongoing success. Integration with Salesforce.com and Salesforce Analytics from our ERP and data warehouse was seemless and easy. Creation of operations and transformation is so easy that we can be functional in minutes. ERP integration to Salesforce.com wich allows for shared core data and improved business efficiencies. We also use Jitterbit for Dataset creation with Salesforce.com Analitics, this allows us to share sales results with field sales teams on a daily basis and provide a single tool for them to manage their business. Jitterbit allows me to integrate multiple files and systems without having any programming background. I can write my own transformations and scripts to keep my data clean. Speak with a Jitterbit sales/account rep familiar with your industry. Jitterbit actively works with a vast number of industries and my experience is that they will have a representative who can speak to the needs of your business cases. 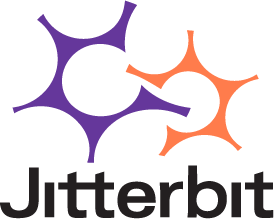 With Jitterbit we are integrating multiple data sets and their supporting documents into our Salesforce org. With out integration, we have been able to automate nearly 4 FTE worth of work that use to require manual intervention from other tools. "Fast and Efficient ETLing; Great for Salesforce Integrations"
Jitterbit's GUI is intuitive and easy to navigate. The connection tools are well organized and setting up complex operations is a breeze. The mouse-over info boxes within the scripting environment is a major time saver when you're trying to leverage the built in functions and navigate the syntax. A web-based development environment would be a good move; to avoid updates to the desktop studio. When viewing dependencies, it would be nice if the child window could pop-out, rather than be bound to the parent window. I principally use Jitterbit to mediate flat-file based ETL procedures from MS SQL server to FTP and also Salesforce updates/inserts. The Salesforce connectors are extremely easy to use and coupling them with SQL table updates, receipt files, and e-mail notifications is also easy. "Best middleware I have used..."
I have used both the free and paid versions of Jitterbit. The free version allowed me to create ad-hoc and scheduled integration between various databases and Salesforce. The full paid version is outstanding. I used this whilst consulting at Anglian Water in Peterborough in 2017. Nothing comes to mind. Jitterbit is so easy to use and has such a huge depth of functionality that I would recommend to anyone. THE BEST MIDDLEWARE ON THE MARKET! It isn't cheap but you get what you pay for and if you want to easily integrate multiple systems in real-time, Jitterbit is the way to go. The level of integration is second-to- none. It's easy to use and you can set up rules using SQL if required. I integrated Salesforce for real-time updates, with SAP, RapidXtra (a billing solution for water companies), Sage and various other systems. "Straightforward ETL Tool with Good Salesforce Connector; Price Right"
Not overkill (like Informix) for what we needed (Salesforce org data maintenance and setup). Came with built-in training and wasn't too hard to learn and get up and running. Cloud platform was just in place when we got on board, and that was a big advantage for us. Not as easy to create complex flow/logic in Jitterbit as a full ETL tool like Informix, SSIS, etc. For data flows that require a lot of conditionals, tests, and actual code, it's not the ideal tool. It's great for small to medium-size outfits not accustomed to doing ETL in other ways, who want to load data into Salesforce. We need to perform Salesforce org data maintenance and setup - load it from ERP system's operational data store. It's really the connectors that make Jitterbit so helpful. They put a lot of work into engineering their Salesforce tools, and that made our job much easier. "Amazing Support for a Great Tool!" We use Jitterbit for almost all our integrations. We often contact support and open cases for technical questions or to get some best practices suggestions. All of our cases have been answered in less that 24 hours, even the ones with low priority. For more complex technical/development questions, we were able to get a 1 on 1 with a technician that really know his stuff. We also have our Customer Success Manager that is amazing, she will answer any of my questions almost right away, or if she doesn't know the answer, she will connect me with the right person. I've been using Jitterbit for a couple years now and I never had a bad experience with their support. Their "success central" site is pretty good, but I thought it was lacking video tutorials. They had a lot of documentation but for me (I'm more visual) it's usually easier to understand through videos. But they started working on it now for the last couple months, they added a section called "Tech Talks" and they have webinars where we can ask questions. So they're getting there. Very easy to use, but also highly customizable with scripting and APIs. Synchronizing our different application (CRM, ERP, custom app). Creating files and storing them on file share. Uploading/Exporting data to different systems. Ease of use of the tools to build ETL workflows, easy to understand issues/errors, adding new ETL flows is extremely easy compared to previous tool we used. Great support and our Jitterbit contacts care about our success using the product on an ongoing basis vs. just at renewal or time of the initial sale. When multiple Jitterbit developers are making changes concurrently, occasionally, a commit from one will overwrite changes made by another. Better versioning and collision detecting of changes would be a great enhancement. ETL data interchange between our Salesforce orgs and our backend OLTP systems as well as data from Salesforce to our Data warehouse. Near real-time exchanging of data for quick action by our sales team. Our business users love to see a quick response time from request to implementation and Jitterbit enables a very short lead time in situations where a Jitterbit-only change will meet their needs. "Great product and amazing after sale service"
Jitterbit, as a tool, has helped us synchronize data between NetSuite and Salesforce seamlessly. We have synchronized Customer, License , Contract and Sales order data so far!. This really helped streamline our business. Our customer success manager, Taylor Cunningham is amazing,. She is always reaching out to us and sending us information on training, new features/releases that we can benefit from and leverage. As a tool, I don't have anything negative to say. Flexibility, Pricing and Connectivity - easy to use. It has an amazing amount of connectors that allows for you to do onprem to offprem or offprem to offprem integration. I also like the API to API connectivity or API to ODBC connectivity, helps make our overall data integration effort that much more robust. The salesforce integration using Jitterbit Connect is very simple and easy to use. The built in wizards are very helpful! In otherwords, you don't have to be a programmer to leverage this product. Nothing, it is a great produce, love everything about it. Make sure that you rightsize your purchase. In our case, the Jitterbit staff was very helpful in making sure we had the right number of agents...and it turns out it worked perfect for us. Cloud Integration between our onprem servicing system with salesforce. We also use it to keep our onprem data warehouse in sync. The overall capabilities of the platform, combined with a well-executed UI design and an eye on future capabilities. The tool is easy to learn, straightforward to implement, and by far the most cost-effective solution in its class. If I had one wish, it would be for Jitterbit to take on a role in the master data management space. Jitterbit is at the core of all of our business process automation that involves data. Everything from Order to Cash to Service, the population of our data warehouse, and integration with a variety of external vendors and cloud applications is handled by Jitterbit. The main thing I really like about Jitterbit is how easy it is to get an integration up and running with various external systems and Salesforce. Also there customer support is responsive and they do the best they can to support their customers. The main thing I disliked about jitterbit has actually been resolved. I started learning jitterbit a few years ago and at that time there wasn't a lot of information on how to setup an integration and debug issues. However they now have really good online based training that teaches you how to use the product. I would highly recommend using jitterbit over a product like Informatica in a heart beat. Jitterbit is easy to use, the customer service is excellent. In my opinion and in my world (Salesforce consulting). Jitterbit is the best integration product on the market. Depends on the client. I have worked on all sorts of integration projects ranging from legacy DB systems, Oracle, SAP and salesforce. "Could this be the easiest API / Integration tool out there?" I've been using integration tools for the past 15 years and Jitterbit is probably the easiest I've learnt. The simplistic approach to build, test and deploy an integration is a massive positive. There code library is vast, so you should always find what you need, and if you get into any trouble their Support team are at hand. Which I must say is one of the best I've worked with! The team release new versions of Studio and the Agent often, so the product is always improving. But recently had the opportunity to see the new release of the Studio (web based), and must say I'm excited to begin working with it and migrate our Projects. This is a glowing recommendation, and NO, I don't work for Jitterbit! It’s difficult to identify pain points, but my only criticism (at a stretch) is the Activities page on the WMC. I do find it difficult to search through the logs (esp when using the Time parameter). We have Integration requirements (Jitterbit smashes through these), API requirements (again Jitterbit smashes through them) and connectivity to many different End-Points (can you guess what I’ll say?). "User friendly tool, very comfortable and easy to use"
* Flexible product that which allows to customize easily to meet our needs. * Logging in may be improved. * Hard to debug and to locate small typo mistakes. I strongly recommend using the Jitterbit tool. It is a great tool, a lot better that any other tool that I've encounter so far. It's very intuitive and easy to use and it centralize all the Interfaces in one place, which simplifies the managing of these processes. "great connector for business tools"
The customizations can be made very easily and the customer support is getting better. The implementation process didn't go very well at the beginning, it took us 6 weeks to finish all customizations by looping in 2 engineers. To test the integration, sandbox accounts of the apps to be connected using Jitterbit are normally needed, which means some extra cost, for example, NetSuite sandbox account is very expensive. Requirements need to be documented in details. We have different teams using different software tools, and with Jitterbit connecting SFDC and NetSuite, the data of the full customer lifecycle is visible to all teams without adding additional users. It saves us some operations time as well. I like the ease of connections and mapping between schemas. The ability to build more complex logic into the mappings is a huge bonus. When I've had questions on how to best accomplish my needs support has been very responsive and knowledgeable. More pre-built templates are always a good thing, but I had the biggest ones that I needed for our mission critical integrations out of the box. Definetly consider support, flexibility, ease of use and the future roadmap of all vendors. We evaluated several platforms before landing on Jitterbit. Jitterbit allows me to sync data across multiple systems using multiple data formats for both intake and output, and handles them with relative ease and little fuss. Having spent hundreds of hours writing custom ETL scripts over the past several years, I really appreciate the way the platform has boosted my productivity--allowing me to spend more time focused on the data than the low-level functionality that took up so much time when writing jobs manually. I don't have many negatives on this platform. The UI for the Jitterbit Studio client is a little clunky, but in comparison to other ETL platforms I'd say it is better than most. There are a few quirks here and there, but nothing that poses any problems after spending a nominal amount of time building a few jobs on the platform. We use Jitterbit to synchronize data across several on-premise and cloud platforms, including SQL databases, web services, FTP, and local flat files. "Great product and support meant we were able to integrate our systems quickly and easily." When we had problems with another well known ETL platform we tried Jitterbit and it just worked! Even with some tricky integrations to very old legacy systems, Jitterbit delivered with a great product platform and very helpful customer service. We are able to keep data synced across many different environments and the integrations have worked flawlessly. There's one quirk that makes integrations with a Filemaker database more tricky. I am unable to use a variable as part of the query. I know this is possible with a SQL ODBC driver, but for some reason it doesn't work with the Filemaker ODBC driver. This is my only annoyance with the product so far. We integrate many software products across different departments, on different schedules and/or triggers. One benefit that was a nice surprise is that the tool is almost self-documenting. With all the integrations in one place It's much easier to see how the data flows. I use Jitterbit strictly as a dataloader for Salesforce. Jitterbit is hands down the best dataloader for Salesforce. As a data connector, it can do just about everything. I dislike that I can't edit my SQL queries when loading data from a database to SF after the query is made. I also dislike that they got rid of the loading "status" bar showing the progress (at least on the free version). If you can get your company to buy Jitterbit, then do it. As I mentioned in my review, I use this strictly as a dataloader for Salesforce, but I'd have loved it if my company bought the entire product suite. Instead, we bought Oracle's SOA Cloud Adaptor to integrate data into SF from Oracle. I still use Jitterbit, but I'd rather have a platform agnostic data connector that works with multiple end points rather than one that only goes from Oracle to something. We utilize Jitterbit to load data from our Oracle servers and from our SQL servers to schedule data loads into Salesforce. The benefit is that we don't have to manually run processes since they are schedulable to the cloud. Also, the data mapping is simplified and easy to use. "Good product, easy to connect multiple sources"
- We integrate with Salesforce, and with one of the later Jitterbit releases they made it very easy to refresh the Salesforce structure for easy field mapping. I think the pros outweigh the cons. It can be kind of slow trying to search through the operation logs to find a specific error. One of the processes we use Jitterbit for is to transfer daily sales information from our ERP into our Salesforce organization, which can then be viewed by our sales team. We're also able to collect files from multiple sources like FTP, email, CSV, and combine the data into a single database table to upload to our website. technical support is very knowledgeable and efficient. We were having trouble with specific data sources, and they could've easily said that our connectivity is our internal issue, but they persevered and figured it out. They also didn't let it linger too long, but scheduled a screen-sharing session pretty quickly. "Workflow Automation for Content Services Firm"
Simplicity and ease of use. Allowed us to quickly connect and transfer data between legacy environments and newer cloud technologies. As the product has evolved the pricing model has been somewhat confusing. Perhaps a clearer definition of "endpoints", or tiered pricing based on types of endpoints would make more sense. e.g. Endpoints within an organization (file shares, business systems), external endpoints and web services (Salesforce, AWS), etc. Ironically, the ease with which you can build out additional integrations makes it difficult to determine your pricing. Transfer of data in legacy business systems to cloud based tools for the purposes of workflow automation. Resulting workflows have reduced turn-around times by a full business day, and reduced staffing operational expenses by over $600K in the first two years. All without using a single IT resource. "Excellent improvements in last 5 years and keeps improving "
Integration is always hard. A single typo error in a script may cause your integration flow to fail. Jitterbit have great testing capabilities But sometimes identifying especially typo mistakes becomes harder.. But I have to thank the support team. When we had any issues they were always there to help us. So we were able to fix these issues in a short time. Even two endpoints have well defined Web Services, Integration may sometimes become painful. With user friendly interface and configurable architecture web services integrations and maintenance are very easy. "Jitterbit greatly speeds EDI deployments"
Jitterbit combines an intuitive, drag-and-drop interface with a robust feature set and support for a seemingly endless number of third-party software packages to create an integration platform that allows us to enable EDI transactions in a fraction of the time of other systems. Jitterbit allows us to quickly add or modify trading partners and transactions as well as providing unparalleled reporting capabilities. For smaller EDI integrations Jitterbit can seem like overkill. Fortunately, Jitterbit Harmony is available as an affordable cloud-based solution which lowers the barrier of entry for smaller enterprises. Anyone who needs to integrate multiple enterprise software packages internally, as well as share data with their trading partners, should strongly consider Jitterbit. Its ease of use, intuitive interface, and robust software support make it the most flexible solution available. Jitterbit allows us to enable EDI transactions at every stage of a company's business process and with virtually any software system they use. The ability to pull data from multiple sources into a single, unified transaction greatly simplifies tasks that were previously complex and error-prone. "Simple yet powerful tool for Salesforce"
It makes it really easy to query, update, upset, delete, etc., our company's Salesforce data, plus the mapping feature is useful. It's secure since not only you have to use your Salesforce credentials but also a token generated. Maybe the way of naming the files, sometimes you get confused as to where the file got saved and under what name, but that really is not a big deal. Sure there are other similar tools out there for data management/manipulation but Jitterbit is very simple yet secure. Good enough for what we need it here in the company. Mass data updates including deleting, inserting, importing and exporting Salesforce records. "From Free to Paid, this is your solution!" Their free product is insanely powerful for what you get from it. You can run small operations up to massive queries on the free product. It does have limitations (as it should), but allows for a great majority of capability. Connecting to a wide array of sources as end-points, scheduling, etc make you really want to adjust into the purchase world for full power! If you are looking for a plug-n-play declarative solution for integration/data manipulation, this tool is likely your answer! Ability to remove data entry completely and allows for multi-technology process solutions. Architecturally, it is a wizard through plug-in-play. The user interface of the product along with the number of available features is excellent. The built in scripting language allows you to implement very custom integration logic. On top of that, the number of built in connectors available for the product is a huge plus. The documentation and instructions for how to implement common integration approaches is pretty awful. Despite several hours of research and watching multiple video tutorials, good instructions of how to setup and process an inbound API call was non-existent. The support is excellent, and the training offered is definitely worth it. We are doing a combination of migrating data from Microsoft Dynamics CRM and creating a two integration between Salesforce and multiple SQL databases. The ability to using Jitterbit scripting to call SQL stored procedures has allowed us to use previously built procedures to post and retrieve data. Jitterbit Harmony and the Jitterbit the company are both great. The product allows us to execute quickly on integrations (much faster than other similar tools). Secondly, the support staff are friendly and excellent. They are knowledgably and able to find resolutions very quickly. The only down side is "testing" an integration on large data sets is more time consuming in their new cloud / hybrid environment as compared to their original on-perm solution. We've worked to change our workflow of our development, but at the end of the day it's still slower. I work for a school district and we are syncing data in between about 20 different enterprise systems. The biggest benefit is that we are able to quickly integrate and move project into production. I appreciate that this is a full stack solution (dev, runtime, monitoring, etc). We have received excellent customer service, the folks at Jitterbit have been amazing in helping us solution and communicating with us every step of the way. So far we are completely satisfied with Jitterbit. I would highly recommend reaching out to Jitterbit and exploring their product. We need a middleware that would allow us to move specific data between our local server and the cloud. Multiple locations across the world, all accessing and updating finance, personal and transactional systems. We make sure that we use Jitterbit in conjunction with multiple internal and external sources both DB, API endpoints, hosted APIs and Azure! "Super powerful with a comprehensive feature set"
Very good integration capabilities with Salesforce and SQL databases. Support is excellent and improvements are always flowing. Pretty complicated to use for the first time even with the documentation. Would appreciate video tutorials. Extremely powerful and versatile toolkit. I love that it can be deployed as a cloud based service and can be remotely managed. Support is excellent. Definitely worth the price. I would highly recommend. "Excellent, Easy to Use Software"
It's easy to use, and able to connect to any software that has a web interface. It would be nice to be able to open two studio instances at the same time. That would allow comparing projects. Just try it, it works for everything. Our main item is using JitterBit to keep NetSuite as our company's system of record. Since Jitterbit will talk to anything else, this is easily created and maintained. Great integration tool for a company with serious Java Developers. Allows for de-duping and Fuzzy logic, which is great for connecting varying data sources and why it is such a powerful ETL tool. Great support as well, which is a huge help when merging complex data sets. Great tool. Just need to make sure it fits your companies requirements. Create a seamless connection from one data source to another, using the systems that are already in place and the ability to add new systems into the structure, as needed. "Jitterbit has been a great solution for our cloud integration"
This product has been mostly set it and forget it for us so I don't have any glaring dislikes. Early on understanding error logs was one of the issues we had. We are currently using Jitterbit to connect Salesforce and Dynamics GP. We have been please with how this is working and are looking to expand uses. "Flexible Product with Great Customer Service"
Jitterbit is a very flexible product that we have been able to customize easily to meet our needs. Customer Service responds quickly and have been great to work with. There is nothing that I really dislike. The flexibility of the product does create a need for training to understand how to use the product, but the training provided by Jitterbit has been very good. Take advantage of the training they provide and don't hesitate to ask for help. They are great to work with. We are using Jitterbit create a bridge between several of our other systems so that information can be easily shared without double entry. Ease of use, user interface, functionality, flexibility, ability to manage the integrations easily with in-house staff. Jitterbit truly has the best experience all the way from lead to go live and post live customer support. They are so easy to work with and always put the customer first in pre-sales, demos, sales cycle, onboarding, installation/configuration, designing testing, and post go live customer support is amazing. Truly a great software solution and sold by a tremendous business with awesome employees. Nothing that I dislike about Jitterbit. Buy Jitterbit. Its worth every penny and more. It does everything everyone says it does. No hidden feature gaps and pricing surprises. Data integration and transformations between multiple systems like NetSuite and Salesforce.com. Automating processes with integrations. "The only ETL you'll need!" The amount of logging is great, but it would be nice to skip the creation of logs if there are no rows/records to update at the time the operation runs. Dislike with Harmony the removal of scheduling by Seconds, now the fastest is 1 minute. Consider the costs for additional end-points if you are planning multiple cloud-to-cloud integrations. Remember that the cloud agent is not for local jobs. * We monitor all Jitterbit reviews to prevent fraudulent reviews and keep review quality high. We do not post reviews by company employees or direct competitors. Validated reviews require the user to submit a screenshot of the product containing their user ID, in order to verify a user is an actual user of the product. Hi there! Are you looking to implement a solution like Jitterbit?